Dell's Venue 8 7000 tablet will be the first device to feature Intel's RealSense depth-mapping functionality. Or, it will be one of the first, if Michael Dell can realize that he has a cool product on his hands, and actually release it in a timely manner. Employing no less than three cameras on the tablet's back, Intel's photo technology allows for post-capture refocusing and other fun stuff made possible by having depth information — such as precise space measurements and selective color exclusion based on distance from the camera. An aluminum unibody shell and an OLED display both contribute to the Venue 8's thinness as well as its overall appeal. The 8.4-inch display promises to be a particular highlight, as it comes with a Quad HD (2,560 x 1,600) resolution that should make for superbly crisp and beautiful images. Take a look at this demonstration video, that shows off the cool image processing that allows the user to focus on any part of a photograph. 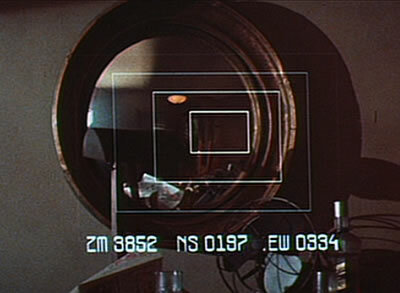 Fans of the 1982 movie Blade Runner recall the Esper photo analysis which allowed Deckard to zoom in on areas of interest in photographs.